“I didn’t think putting it up would be a big deal, but I’ve received a huge outpouring of support and appreciation from the LGBT community in the past two days,” Wexton added. “We’ve been receiving messages from across the country and they’ve been telling me how much it means to them to see that in the halls of Congress. 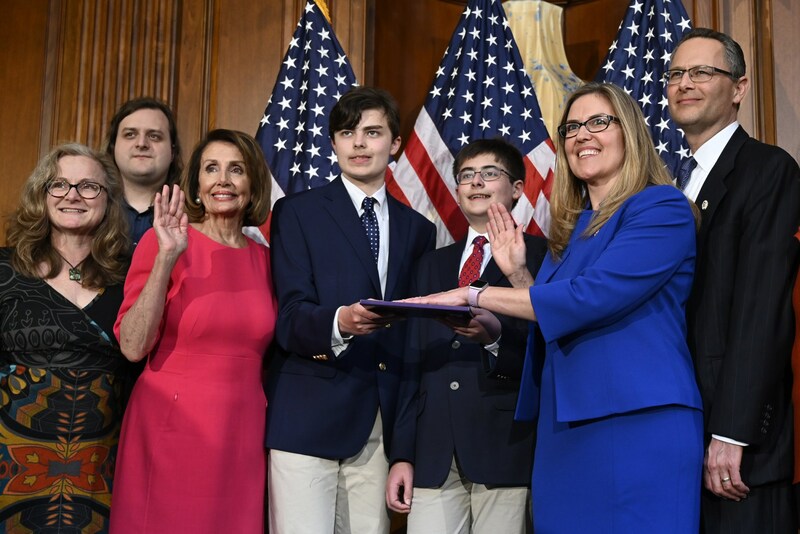 Wexton noted that one of her constituents is Danica Roem, the first out transgender person elected to state office. Transgender advocacy groups also hailed the decision. The 116th Congress is the most diverse in history. Wexton is part of the largest ever incoming class of female lawmakers. And that class of women itself contains several historic firsts: Ilhan Omar and Rashida Tlaib are now the first Muslim women to serve in Congress, while Sharice Davids and Deb Haaland became the first Native American women elected. Arizona’s two new senators, Kyrsten Sinema and Martha McSally, are the state’s first female senators.